This past Shabbat, someone in my shul showed me a difference in spelling of the first word in the middle prayer of Shabbat Musaph. I may not have made the best English translation of either version, so please edit and / or comment. There is an obvious difference in meaning, although, the pronunciation (for most) is identical. Why is there this difference in meaning? What concepts are being conveyed with each one? The version used by the Alter Rebbe in his siddur, which is not strictly the nusach of the Ari z"l, but rather according to the nusach of the Ari z"l, is based upon a comment found in the siddur of Rabbi Shabtai of Rashkov. Rabbi Shabtai was the recognized expert in the nusach of the Ari z"l from the time of the Ba'al Shem Tov and served as his Sofer. In Rabbi Shabtai's siddur for Musaf of Shabbat, it writes as the primary version that it is תקנת שבת. But it points out that there is an alternate version of תכנת שבת. 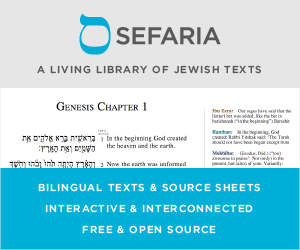 The first version would be using a language that is also attributed to Eliyahu HaNavi from Patach Eliyahu in the Zohar. It has a connotation of both fixing, like repairing or adding something that is missing, and also a beautification, like in jewelry or ornament. The second version means to establish, like Midrash Konen (ספר מדרש כונן נמצא בילקוט הרועים הגדול ) is a midrash on the creation of the universe. It's worth pointing out that although the recently published Siddur for Shabbat of Rabbi Moshe Chaim Luzzato by Machon Ramchal prints the text of the siddur as תכנת שבת. It quotes the Ramchal himself writing in Kitzur HaKavanot (authoritative text written by Ramchal) that the text is תקנת שבת. The Ramchal has specific kavanot associated with this version of the text. The tradition is that Ramchal teaches the Nimshal to the Ari's z"l Mushal. By many, including the Vilna Gaon, he is considered the authority. Another source that is purported to be by an expert of the Ari z"l is the siddur of Rabbi Shalom Sharabi, who originated from Yemen passed through India and ultimately ended up in Israel. In his siddur for Musaf of Shabbat, he follows the version תכנת שבת, but offers no explanation. The source for these two versions seems to be based upon a possible typographical error. The first (תקנת שבת) is the version written according to the siddur of Rav Amram Gaon according to the Mossad HaRav Kook edition, page 78:33. The second version is attributed to Rav Amram Gaon and Rav Sa'adiah Gaon by the Avudraham in discussing the proper text of Tefillat Musaf for Shabbat. Avudraham follows the nusach used by the Baladi Jews of Yemen which is completely different but says that Rav Amram Gaon used the version תכנת שבת. He emphasizes that it is not his minhag to say these opening words and therefore will not offer an explanation to their meaning. Not the answer you're looking for? Browse other questions tagged tefilla shabbat words musaf . On the 2nd day of Succot in Diaspora, why don't we read both the 1st & 2nd day Musaph readings? Why does the last citation in the Shofaros section of Rosh Hashahnnah Musaph not mention the shofar? Why is the “middle” section of Shmoneh Esreh on Shabbat different for each service, yet the same on Yom Tov? What word is in the middle of the Torah? When and why did the custom to have young children end Musaph Shabbat davening begin? Why do we Daven Yom tov Musaf on Shabbat Chol Hamoed and do Yom Tov Leining?